Can you guess why did the company go for 94? Two weeks before the Pikes Peak International Hill Climb, Volkswagen has revealed its outfit for the 12.42-mile (19.99-kilometer) track 14,110 feet (4,300 meters) above sea level. The VW I.D. R Pikes Peak will come in grey and will carry the number “94” for a good reason. Grey is the hallmark color of the brand’s I.D. family, which makes the inclusion of the fully-electric race car official. If you ask us, grey looks good for the I.D. R and kind of mysterious-looking for a car that’s essentially faster than a Formula 1 car. What adds identity to the I.D. R is the number 94 that it would be wearing. It stands for I (9) and D (4). Yes, something so obvious was hiding in plain sight for a second. You’re not alone if you didn't realize that sooner, though. “As is standard in American motor racing, the organizers allowed us to select our own start number. The 94 was our express wish, as it symbolizes the letters ‘I’ and ‘D’ – the ninth and fourth letters in the alphabet,” explains Volkswagen Motorsport Director Sven Smeets. The 680-horsepower (500-kilowatt) I.D. 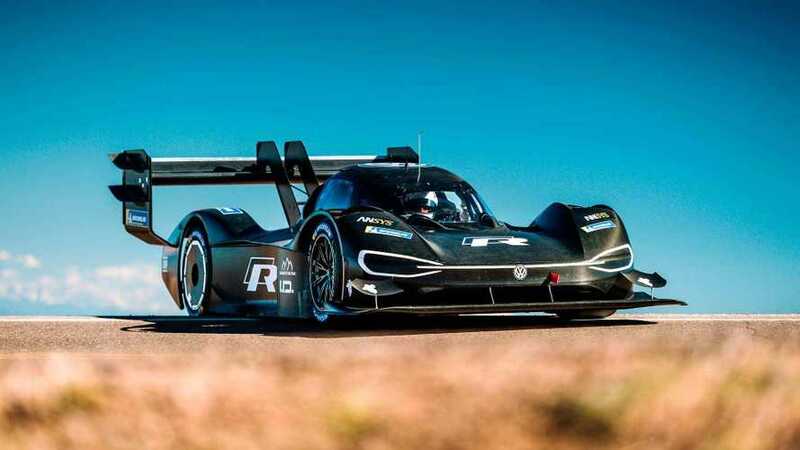 R is all set to break lap times at Pikes Peak International Hill Climb, driven by the defending champ Romain Dumas, who has set top times on the race track on three occasions: 2014, 2016, and 2017. The current record is at 8:57.118 back in 2016, while the quickest time was set by the Peugeot 208 T16 at 8:13.878. The I.D. R is still at doing final test runs and setup work. Dumas will return to Europe after the testing, wherein he’ll drive for Porsche at the 24 Hours of Le Mans on the weekend before the Pikes Peak. As soon as Le Mans is over, he’ll fly back to Colorado. We just hope his hectic schedule and time differences won’t take toll on him.